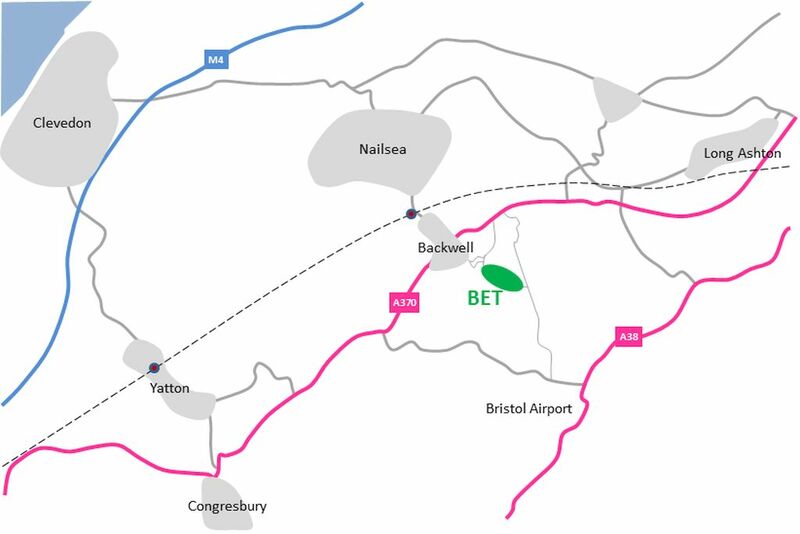 The reserves are sited on either side of Cheston Combe Road above Backwell, southwest of Bristol. The zoomable map below shows the location of Jubilee Stone Wood (JSW) and Badgers Wood (BW) plus the off-road parking spots. Also shown is the volunteer meeting point at the BET Cabin in Badgers Wood (the blue flag). BS48 3JQ - Church Town, close to the bottom of Badgers Wood and to the bridleway leading up to Jubilee Stone Wood. BS48 3EJ - top of Cheston Combe Road, close to the top of Jubilee Stone Wood. For a detailed map of the reserves and the Cabin meeting point, please click on the BET Publications menu Maps and Guides.